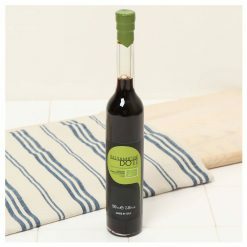 Balsamiche Doti organic balsamic vinegar 1.20 offers a unique gustatory experience. Introducing your palette to a harmonious combination of acidity and sweetness using only grapes from the farms of the Modena district of Italy. 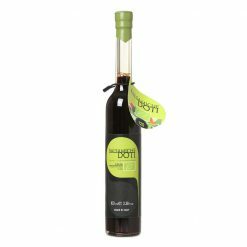 Balsamiche Doti organic balsamic vinegar is a highly concentrated product with high viscosity. 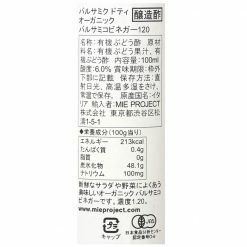 Balsamiche Doti organic balsamic vinegar 1.20 has a density of 1.20kg/litre. It is IGP (Indicazione Geografica Protetta) certified to ensure its quality and authenticity. This excellent balsamic vinegar can be enjoyed by gourmet enthusiasts and by passionate gastronomes. Perfect to enjoy with salads and creating glazes.